Jason Taylor opened the doors of his non-profit organization in 2004 with the goal of building a better future for area children in need. Nearly 15 years later, the Pro Football Hall of Famer introduces his newest charitable event by celebrating three individuals who inspire him daily to carry out the Jason Taylor Foundation’s mission. 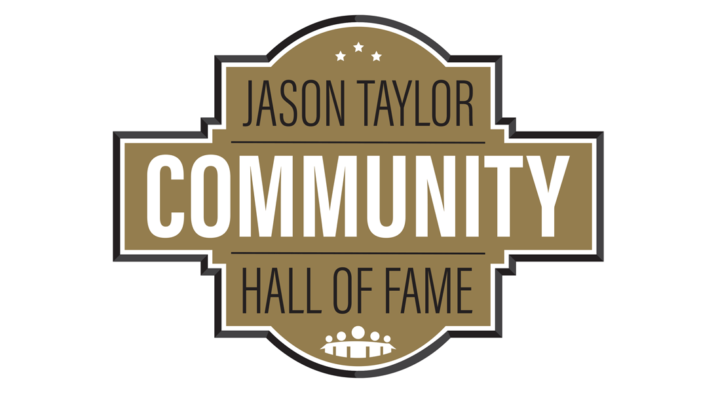 On Friday, May 17, 2019, the inaugural Jason Taylor Community Hall of Fame Dinner presented by Z Wealth Solutions and Community Capital Management will be hosted by Seminole Hard Rock Hollywood. This year’s class of Community Hall of Fame inductees will include Dan Marino (Celebrity Honoree), Scott Scherr (Corporate Honoree) and Anthony Borges (Youth Honoree). Proceeds from this event, which will be emceed by Joy Taylor, co-host of The Herd with Colin Cowherd and sister of Jason Taylor, will benefit the Jason Taylor Foundation, whose mission is to support and create programs that facilitate the personal growth and empowerment of South Florida’s children in need by focusing on improved health care, education and quality of life. For information on partnership opportunities and attending the Jason Taylor Community Hall of Fame Dinner presented by Z Wealth Solutions and Community Capital Management, contact the Jason Taylor Foundation offices at (954) 424-0799 or by emailing info@jasontaylorfoundation.com. Anthony Borges, along with the entire Marjory Stoneman Douglas High School and Parkland communities, was faced with the unthinkable on February 14, 2018. As bullets barraged the halls of the school, tragically taking the lives of 17 individuals, Anthony responded with bravery, courage and strength, ushering his peers into a classroom and barricading the door, using his body as a shield. Anthony was shot five times that day, while saving the lives of up to 20 others. He spent months in the hospital, loosing a third of his lung and suffering severe damage to other organs as well as his legs and feet. Anthony rejects the hero label, but sacrifice in the face of chaos and danger can never be ignored or forgotten. Dan Marino held or was tied for 30 NFL regular-season quarterback records at the time of his retirement after 17 seasons (1983-99) as the Miami Dolphins quarterback. He was inducted into the Pro Football Hall of Fame in August 2005, however his greatest impact has been through his work with The Dan Marino Foundation. Inspired by experiences in raising his second son, Michael, who has autism, Dan and his wife Claire established the organization in 1992 and have raised more than $75 million to provide services and fund first-of-their-kind initiatives including the Miami Children’s Hospital Dan Marino Center, the Marino Autism Research Institute, the DMF Jobs Development Program, and the Marino College. Scott Scherr founded Ultimate Software in 1990 and has served as president and CEO since the company’s inception. Fostering a corporate culture based on honesty and respect has always been Scott’s #1 priority. A major component of Scott’s and Ultimate’s lifelong commitment to “People First” is caring for community, with no greater example than the 3 paid service given to employees every year to use for volunteering and supporting nonprofits of their choosing. Throughout the year, Ultimate’s employees also donate to charitable causes and raise funds for people in need, with Ultimate often matching employee contributions 100%.